The broad goal of research in our laboratory is to understand how inhibitory inputs influence neuronal signaling and sensory signal processing in the healthy and diabetic retina. Neurons in the brain receive inputs that are both excitatory, increasing neural activity, and inhibitory, decreasing neural activity. Inhibitory and excitatory inputs to neurons must be properly balanced and timed for correct neural signaling to occur. 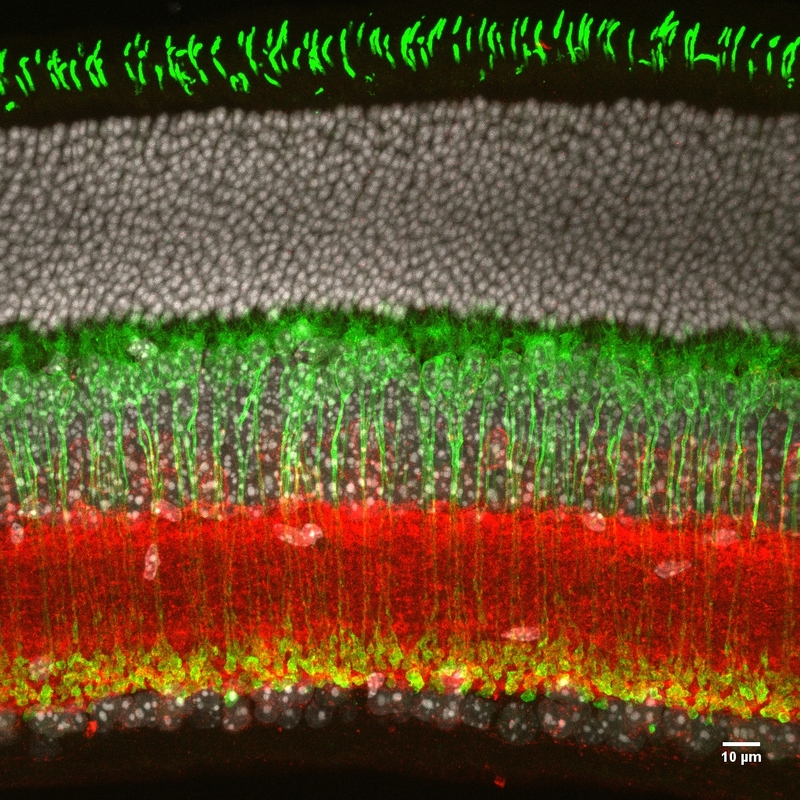 To study sensory inhibition we use the retina, a unique preparation which can be removed intact and can be activated physiologically, with light, in vitro. Thus using the retina as a model system, we can study how inhibitory synaptic physiology influences inhibition in visual processing. This intact system also allows us to determine the mechanisms of retinal damage in early diabetes.